At Happy Ears Hearing Center, we believe in making Happy Ears affordable to everyone. Our hearing aid prices vary by brand and technology level. We have hearing aids that fall into good, better, and best categories. Hearing aid prices typically range from $799 – $3199, and your first year of follow up services are always included in the price of the hearing aids. How well you want to hear in noisy situations? Will having direct connectivity from your hearing aids to your phone enhance your life while you hear amazingly well? The outcome of your hearing test (audiogram) along with the features and benefits you want to take advantage of to improve your lifestyle will determine how much your hearing aids will cost. …But that comes at a cost. 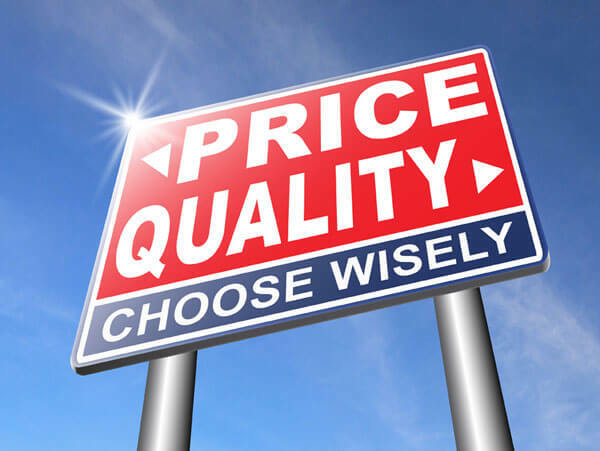 Too often we see patients who have resorted to purchasing hearing aids in big warehouse stores to get lower pricing. They come to us for help after they have lost confidence in where they purchased their hearing aids from. Most of the patients are not satisfied with the fit or the way they sound. Unfortunately for the patient, these warehouse stores don’t have the best interest of the patient in mind. They do not tell them they are purchasing locked hearing aids that are not programmable by an outside business. That is Big Box and Private label’s way of keeping you coming back to them. Even if you are unsatisfied. So you can see, even these cheaper hearing aids are even more expensive if they aren’t appropriate for your hearing loss and are not programmed properly. Hearing loss is unique and is not something that can be easily or accurately treated by purchasing cheap hearing aids over the counter, online, or in big warehouse stores where you are just another number. Happy Ears Hearing Center firmly believes, to have the highest chance of success with hearing aids, a hearing loss must be treated by hearing health professionals with extensive backgrounds and education in hearing loss. This is why Happy Ears Hearing Center only employs Doctors of Audiology.